As a career college, Greystone is focused on giving students a useful and practical experience. One of the most exciting options at Greystone College is completing a co-op program, in other words, a study program that includes a work component. Co-op gives students a chance to gain Canadian work experience related to their studies, and put their new skills into practice right away. Co-op students can learn more about various aspects of their chosen field, and gain a better sense of how they might want to develop their future career. And most importantly, they build connections with employers who can support their growth and experience. 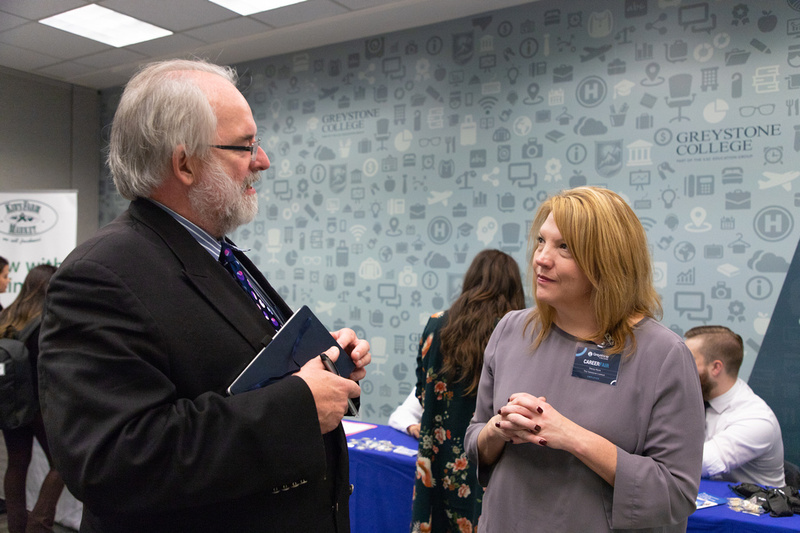 The Co-op is a great experience for students, but it’s also a huge opportunity for businesses, who get the benefit of fresh, enthusiastic talent, ready to learn on the job, and contribute to company goals and success. First, can you tell us a little bit about Vancouver Lookout? Stacey: Harbour Centre and the Vancouver Lookout are part of the fabric of the city, a staple of Vancouver’s skyline since 1977 and the tallest, solely commercial building in Vancouver. The iconic ‘flying saucer’ shaped observation deck lights up at night, and during the holidays, it becomes a Christmas tree decorating the Vancouver skyline. 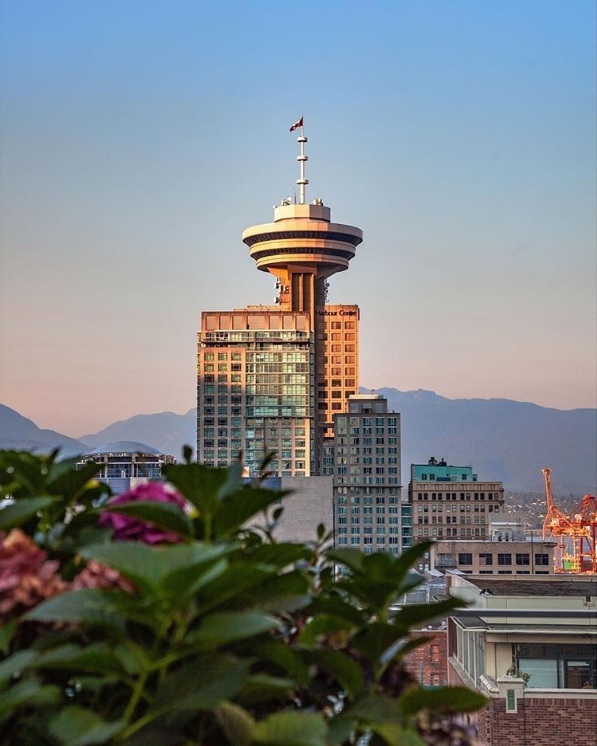 Vancouver Lookout is the ideal vantage point for historic Gastown, Coal Harbour, the city’s bustling downtown core, and of course the world famous Stanley Park. How did you hear about Greystone College? Stacey: Greystone College contacted me to see if I had any openings for co-op students. We were looking and were able to employ a couple of their students. How has your business partnership with Greystone Co-op supported your company’s hiring needs? Stacey: Our partnership has allowed us to fill numerous positions with Greystone students. Historically, it has been difficult to recruit front line staff; however, through Greystone, we have been successful with hiring many students for both co-op and part-time positions. Vancouver Lookout participated in one of Greystone’s job fairs, can you tell us how it went for you? Stacey: The Greystone College job fair was a great success for us. We hired seven students from this fair! Can you share a little bit about what Greystone Students do in their co-op positions at Vancouver Lookout? Stacey: Students typically manage a variety of tasks, including guest service, selling tickets, guided tours, queue management, retail sales, and housekeeping duties. What skills are in high demand in the job market? Stacey: Customer Service skills and some cash handling are great. As long as students have the right attitude and are excited to be part of our environment we are able to train the skills required for the job. How do you think an employer like Vancouver Lookout can impact the student’s journey in Canada? Stacey: I believe we have a lot of influence on the student’s journey, providing fun and professional Canadian work experience. We are connected to many partners in the tourism industry, allowing them to be involved closely to a dynamic industry and learn how we all work together to provide the best products and experience for our visitors. And they get to both use their native language as well as strengthen their English skills. How important do you think it is for students to have volunteer experience or extracurricular activities on their resumes when they are searching for co-op positions? Stacey: This can be very important for networking and understanding of Canadian work culture. Any previous experience will help both the employee and employer. Do you have any advice for students looking for a co-op job? Stacey: Be dedicated and enthusiastic. That’s definitely excellent advice for students! Huge thanks to Stacey Klyne, General Manager of Vancouver Lookout for sharing these insights. And if you’re looking for an interesting tourist attraction to visit, be sure to take in the views from Vancouver Lookout! If you would like to read the co-op story from Liliana, an International Business Management Co-op student from Greystone College, please click here. Are you a local Vancouver or Toronto business looking to hire a Greystone College Co-op Student? Learn more about what our students learn, what kind of roles they’re prepared for, and how their training and enthusiasm can support your business success!